Vegetable Seekh Kabab is one of the most popular vegetarian appetiser served at parties. 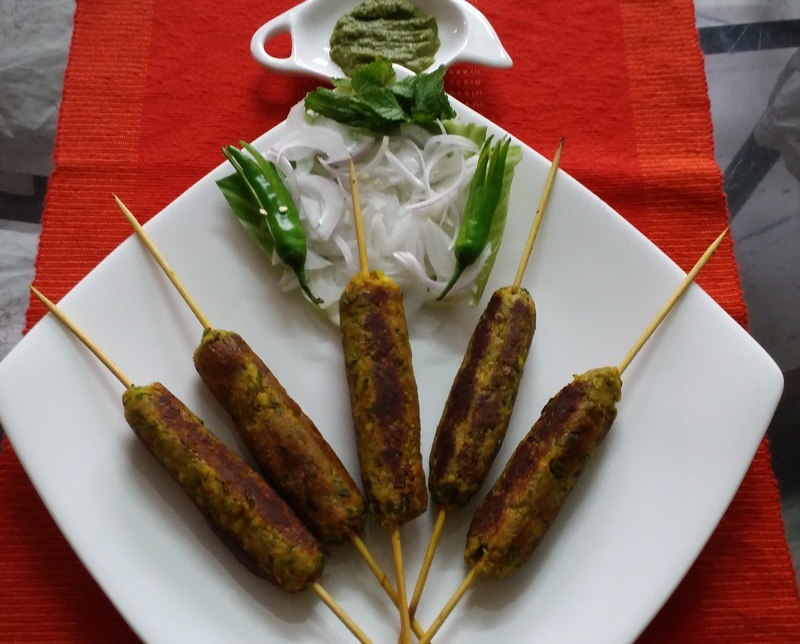 Whether vegetarian or non vegetarian kababs are super delicious and perfect snack option as well as side dish. 1 Cup mashed paneer ,2 medium potatoes(boiled and mashed), 1/2 cup green peas ,1/2 cup grated carrots ,1/2 cup chopped cabbage, 1/2 cup chopped French beans, 1 table spoon ginger grated, 1 table spoon green chillies chopped, 1/2 cup mint leaves chopped, 1 teaspoon garam masala powder, 1 teaspoon cumin powder, 1/2 teaspoon turmeric powder, 2 tablespoon butter, 2 tablespoon gram flour, salt to taste. Heat the butter in a pan,add grated ginger and saute for a minute. Now add green chillies,cumin powder, turmeric powder ,mashed potatoes, mashed paneer, salt and stir for 2 minutes. Turn off the flame.